Inkron provides optoelectronics packaging services based on advanced material technologies. The expertise covers high power UV-curing and processing, white light disinfection and multi-wavelength and special purpose LED-components, modules and Chip-on-Board components. The engineering team’s experience ensures cost-effective packaging of all products and components designed, engineered and manufactured at Inkron to ensure optimal performance and functionality. Where needed Inkron assists in developing the packaging concept and supports with electrical, optical and thermal modelling. Proprietary state-of-the art materials in Inkron’s own polymer solutions portfolio guarantee top-notch quality and high reliability. Inkron’s flexible assembly line supports custom and special LED-packaging in small to medium volumes. Line capabilities include: die pick up, die attach, flip-chip, wire bonding, encapsulation, glop top/lensing, burn-in, stress runs, testing and packing. Proto series and engineering samples can be offered with short lead times. Test production service is available prior to entering volume production. Please contact us at info@inkron.com. Custom module and component manufacturing is achieved through the optimal choice of chip carriers, e.g. SMD/lead frames, COB substrates and packaging materials. Options include PPA, EMC, ce­ramic, metal core, and silicon materials. Inkron’s wide range of die attach materials makes it easy to find a good solution. These include dielectric and conductive, nanosilver-filled pastes with thermal conductivities ranging from 0.5 to 25 W/mK. Other options include reflective die attach and underfill materials. 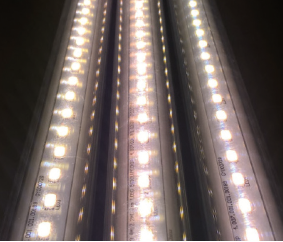 Inkron’s proprietary high-index (1,65) encapsulation and phosphor resins are available to enhance light extraction efficiency and total output. 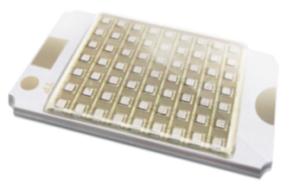 For custom LED-modules Inkron offers spectrum tuning to optimize device performance. This includes tuning of the total efficiency, CRI or spectrum depending on the requirements. For the visible spectrum unique and performance-optimized packag­ing solutions are offered with proprietary phosphor mixes for e.g. continuous white light disinfection. Further services include multi- or single die packaging with UV (310-395 nm) and blue excitation (405-460 nm) sources. 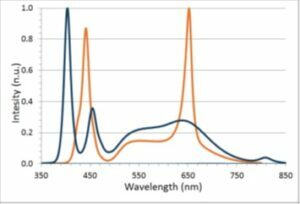 Cus­tom spectra can be provided based on a discrete LED-die concept or a combination with phosphor-discrete packaging. Inkron provides LED packaging solutions for special spectrum systems, industrial UV-curing and additive manufacturing (high power UVA COBs), as well as for new innovative photonic systems such as continuous white light disinfection. High power UVB LED-modules and solutions for hermetic encapsulation of OLED-devices are expected in the near future. Inkron’s material range and packaging capabilities also support a wide variety of non-LED ap­plications. These include optoelectronic devices such as photodiodes, linear sensors and image sensors. Inkron will soon be offering wafer-level packaging of CMOS imagers and support panel-level packaging as required ao. 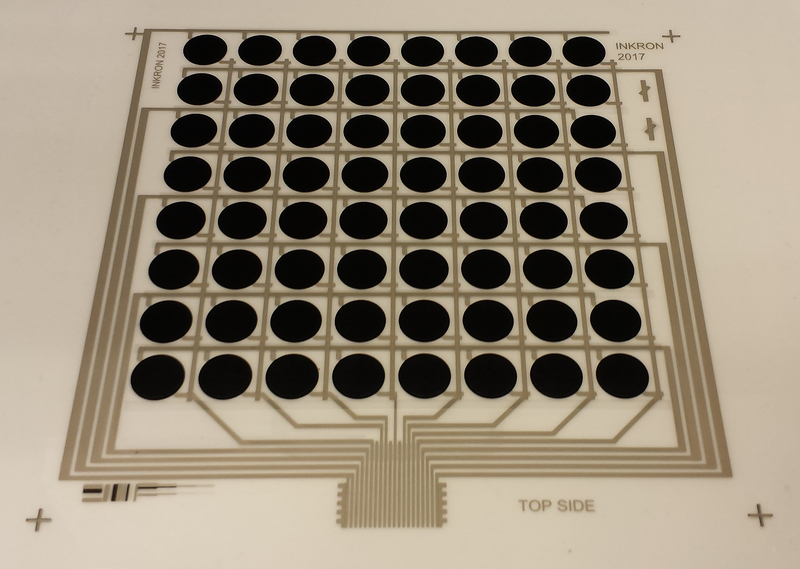 in optical interfaces and optical PCBs. For more information please contact us at info@inkron.com. Inkron has a well-equipped environment for the development of printing materials. It includes a commercial facility for semi-automated screenprinting. Printing services can be offered for customer work of small- to medium-sized batches of printed electronics. Inkron’s own material portfolio includes printing pastes and inks as listed in the product section. Versions for both thermal and UV-curing are available. 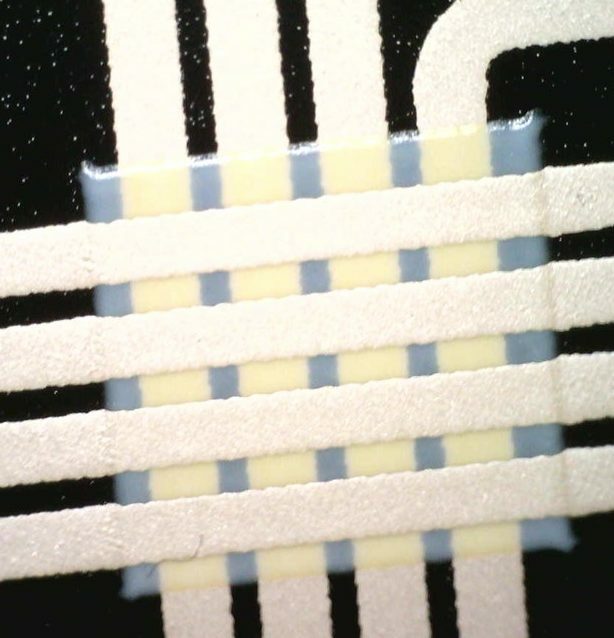 These materials cover all regular needs for printing electronics both in single and multiple layer applications (through dielectric interlayers). Compatibility with all the common substrates (glass, ITO, plastics) is excellent: as all products have a siloxane polymer matrix in common these materials are perfectly matched for multilayer printing of dielectrics and conductors. As most materials are solvent-free pinhole-free printing can be achieved in a single pass and curing times are reduced. Inkron’s IPC-600 and IPD-600 series of stretchable conductive and dielectric pastes open the way to applications like thermoforming, embedded and printed electronics, smart clothing and wearables as well as other applications requiring excellent stretchability and thermal stability. Examples include stress sensors and force sensor arrays. Testing of these materials in customer specificied applications and on specific surfaces can be readily done. Evidently, where needed, customer-defined materials can be used in addition or instead of Inkron materials. Inkron’s services cover the whole production chain from screen layout all the way to a tested and characterised end-product. Only screen production is outsourced. Characterisation includes profilometry and microscopy to determine trace shape, spreading and continuity, four-point resistivity measurements. Environmental testing (e.g. 85/85, heating cycles) is available as well as stress tests to follow performance through repeated bending and stretching cycles. Also the sensitivity of sensor materials can be determined using this set-up. 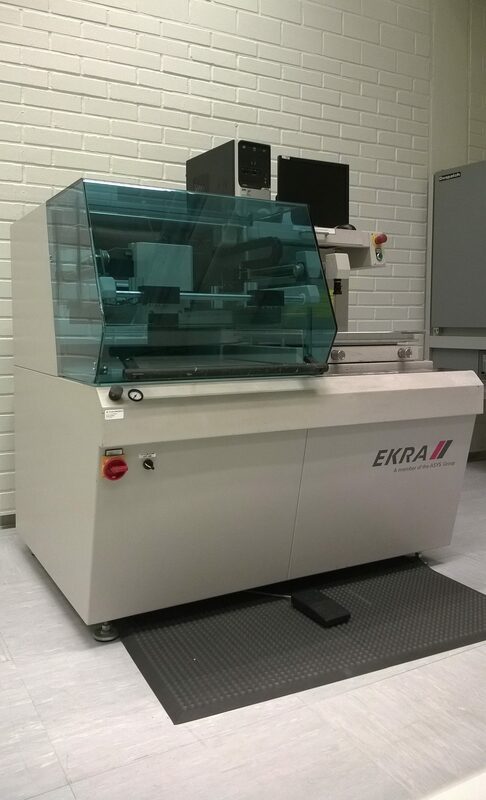 Ekra X1 semi-automatic screen-printer with optical registration. Inkron has a team of hand-picked R&D professionals of cutting edge level in their respective field of expertise. Inkron’s technology platforms (as presented in the “Technologies”- section) are cross-scientific covering the range from wet electrolytic chemistry through nanoparticle synthesis all the way to siloxane polymer synthesis and modification, not to forget the technologies to enhance coupling between filler particles and binder polymers in ink and paste formulations. 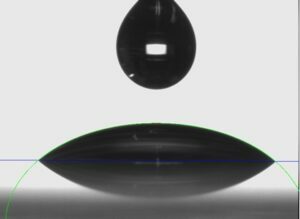 Inkron has in-house knowhow for every process and production step including not only the development of the siloxane matrices for optical and electronics applications but also the filler materials. These include the metallic and metal oxide nanoparticles essential for the optimisation of the electrical conductivity and the exact tuning of the refractive index. This combination of top skills and cutting edge technology has proven a powerful blend with a high drive for problem-solving when confronted with challenging tasks. 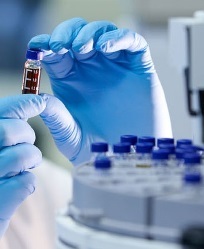 In addition to the technology platforms presented Inkron’s laboratories are well-equipped for the characterization of products and their components. Basic characterization tools include DCS, TGA, rheometer, profilometer, spin-coaters, UV stations, spectrometers, tensiometers that are also available for customer use. 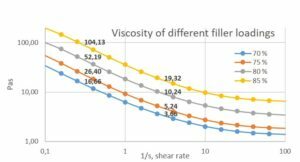 In addition also less common devices are available including LFA equipment for thermal conductivity measurements as well as Dynamic Laser Scattering for particle size determination. For any given in-house technology Inkron can quickly scale-up the manufacturing capacity from lab to pilot level and beyond. Reactors for polymer and nanoparticle synthesis cover the whole range from small laboratory scale vessels all the way up to batch sizes of tens of liters. Please contact us at info@inkron.com.